Universal patterns, textures and forms in nature, where science and art are inseparable, are my constant source of inspiration. I construct vessel and figurative forms using various techniques. Form, surface and method of making are integrated but an experimental approach is adopted in the handling of materials. 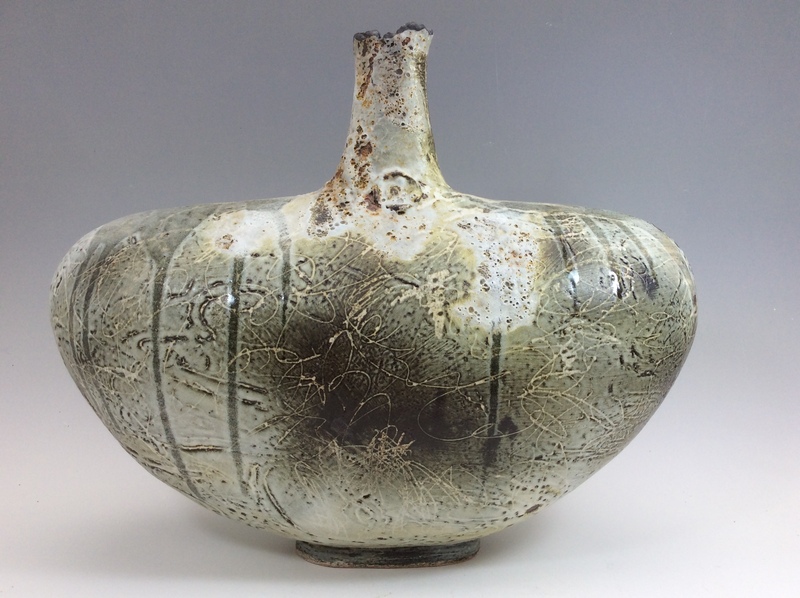 Various clays are used sometimes incorporating other material (organic and inorganic), the inherent tactile and textural qualities of the clay being enhanced with many layers of oxides slips and glazes, fired to 1250º C in an electric kiln. I am also more drawn to fragmentation and erosion, which I attempt to incorporate in my work, allowing fortuitous accidents and influences from the subconscious to enrich the process. Forms often convey a sense of metamorphosis.